Denver – This week’s MOTV Pick of the Week – SCI Expedition Safari – takes viewers around the world in search of all types of game and is available to stream on MyOutdoorTV. Mike Rogers brings viewers along on a wild ride to find the most exotic game in the world on SCI Expedition Safari. 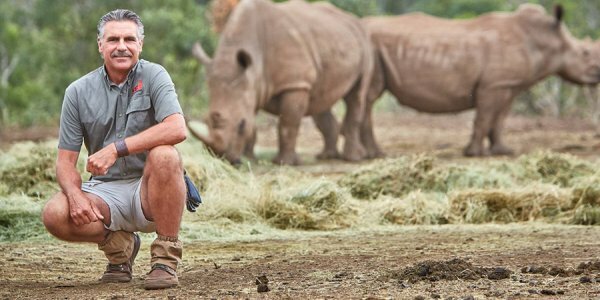 Rogers has been hosting SCI Expedition Safari for 12 years, traveling around the world searching for his next big adventure. His goal is to take viewers to some of the most remote places possible and, not only show how to hunt in these various locations, highlight the beauty of various species in their natural habitats. SCI Expedition Safari also focuses on the message of conservation, which is preached by so many hunters and outdoorsmen. About MOTV: The exclusive, global, subscription-based, video-on-demand service provides the best outdoor programming, lifestyle content and access to favorite Outdoor Channel, Sportsman ChannelandWorld Fishing Network television shows and is the pre-eminent voice for all outdoor enthusiasts. MOTV – powered by the three networks – accomplishes this with an expansive acquired library of the best hunting, fishing and shooting programming in long and short form, recipes, tips and tricks, how-to instructional videos, as well as educational and exclusive content focusing on improving success in the field and waterways. Along with the three networks, content is available from Outdoor Sportsman Group’s established integrated media arm that includes 15 outdoor magazines, such as: Guns & Ammo, Game & Fish, In-Fisherman, Florida Sportsman and Wheels Afieldand 19 top websites, including: BassFan.com. Exclusive episodes, as well as live event coverage and behind-the-scenes footage will be added in the future.